The Syrian refugee crisis is the most unprecedented and unpredicted displacement in the world since the early part of the last century, and it has been a challenge for the international community to respond urgently, collectively, and effectively to the crisis and uphold the obligations of international law. It is only fair to acknowledge at the outset that addressing this crisis must be first and foremost a global shared responsibility. It cannot be just a few countries that, by accident of geography, carry the heaviest burden. In this context, we see that the refugee crisis has been at the forefront of almost every international forum in the last two years. We can give examples from the three recent big events related to this topic. The World Humanitarian Summit took place in Istanbul on 23-24 May 2016 and convened with 9,000 participants from around the world to support a new shared Agenda for Humanity. The Summit generated more than 3,000 commitments to action and launched more than a dozen new partnerships and initiatives to turn the Agenda for Humanity into meaningful change for the world's most vulnerable people. In a similar manner, on the day of the UN High-Level Summit Addressing Large Movements of Migrants and Refugees Summit, 193 Member States signed the New York Declaration addressing the need to mentor vocational and skills training, entrepreneurship, employment creation, and business investment for refugees and migrants. US President Barack Obama also hosted a Leaders’ Summit on the Global Refugee Crisis on 20 September 2016 to galvanize significant new global commitments to: (i) increase funding to humanitarian appeals and international organizations; (ii) admit more refugees through resettlement or other legal pathways; and (iii) increase refugees’ self-reliance and inclusion through opportunities for education and legal work. Refugees’ engagement in the labor force can help contribute to the local economy and build the skills necessary for rebuilding their country when they are able to return safely. It is clear that since access to decent work opportunities is fundamentally important for Syrian refugees and host communities receiving large numbers of Syrian refugees, building the resilience of both refugees and host communities, and creating conditions for growth and job opportunities for each must be the top priority. In this regard, the International Labour Organization (ILO) has adopted a global discourse shift from humanitarian-only responses to development solutions, and job creation is the most important part of this discourse. As is known, access to decent work opportunities gives meaning and purpose to peoples’ lives, and this is the best way for societies to align and discharge their humanitarian responsibilities with the proper pursuit of their enlightened economic self-interest. Refugees have significant potential to contribute to their host countries, and their engagement in the labor force can help contribute to the local economy, give dignity and purpose to their lives, and build the skills necessary for rebuilding their country when they are able to return safely. Turkey has become the major refugee hosting country with more than 2.7 million Syrian refugees since 2011. With the Syrian influx to Turkey, the Turkish government took immediate action by opening its doors and setting up emergency camps to locate Syrian refugees, which were extended in scope to 23 camp locations in ten provinces providing shelter, education, health, and other services. About 10 percent of Syrians are living in the camps, while 90 percent live in the cities. Many Syrians already actively participate in the workforce and face many problems in the labor market, such as unsafe working conditions, informal employment, a rise in the risk of child labor among children, and the language barrier. Syrians are mostly employed informally in low skilled jobs in seasonal agricultural, construction, manufacturing, and textile sectors. An ILO field research study conducted with 579 enterprises in Şanlıurfa found that 33 percent of Syrians are earning below the minimum wage. The limited access of Syrians to formal employment led to a growth in informal employment. In turn, this has resulted in increased competition for jobs and downward pressure on wages in sectors where the majority of Syrian refugees are working informally since they are paid less than the minimum wage. Regarding the employment of Syrians, an ILO field research study conducted with 579 enterprises and 1,592 Turkish workers in Şanlıurfa found that 27 percent of the businesses surveyed employ Syrians; 33 percent of Syrians are earning below the minimum wage; 60 percent of employers indicate that they can employ Syrians if there is a need; 32 percent say they would never employ Syrians; 64 percent say they would employ Syrians if there is state support; 50 percent regard language as the biggest obstacle. In order to enable Syrian refugees to build a decent life for their families and to give them an opportunity to contribute to society, the government of Turkey took action on 15 January 2016 by introducing the Regulation on Work Permits of Foreigners under Temporary Protection, which regulates work permits for Syrians who do not have a residence permit. This legislation is an important step in the transition of Syrians from informal to formal employment and increasing opportunities for decent work. The main elements of the regulation are (i) foreigners may obtain work permits six months after the date they register for “temporary protection,” in the provinces where they are permitted to reside, (ii) they cannot be paid less than the minimum wage, (iii) they cannot exceed 10 percent of the Turkish citizens employed at a workplace, (iv) seasonal agricultural or livestock breeding activities are exempted from work permits, and (v) they can participate in vocational training or on-the-job training. There has also been a significant increase in the number of enterprises with Syrian partners in recent years. It is clear that investments and business initiatives by Syrians will contribute to employment, foreign trade, and economic growth at the national and local level. Yet, a workshop organized by the ILO to discuss the problems of Syrian employers, entrepreneurs, and workers has shown that Syrian investors face problems related to opening bank accounts, a lack of guidance and information on legislative arrangements, travel restrictions, and language barriers. While addressing humanitarian needs has been at the forefront of the response to the Syrian refugee crisis, the focus is increasingly shifting to livelihood support. For this purpose, the ILO Office for Turkey has introduced a comprehensive strategy as a response to the Syrian refugee crisis. Based on the wider UN response to the Syrian refugee crisis within the framework of the Regional Refugee and Resilience Plan (3RP), the ILO’s strategy is a development-focused and employment-driven strategy to support host communities and refugees so as to maintain and reinforce the social and economic stability of the affected neighboring countries. The ILO’s strategy for Syrian refugees in Turkey has five main pillars: (i) facilitate the implementation of national policy development efforts on the basis of tripartite consensus; (ii) support the strengthening of institutional and technical capacities at the national and local levels; (iii) conduct local and national research and impact analyses to improve the knowledge base; (iv) carry out skills development, vocational training, and local economic development activities, in collaboration with national stakeholders to improve the employability of Syrians and Turkish citizens; (v) raise awareness among Syrians and Turkish citizens in target provinces concerning legal arrangements, problems, and opportunities in the labor market. Within the scope of this comprehensive strategy, the ILO Turkey Office carries out several activities, with the aim to contribute to the promotion of decent employment and equal treatment for Syrian refugees. In this regard, the ILO delivered vocational, technical, skills development, and entrepreneurship courses to Syrian and local communities to improve the employability of both. In this context, 1,487 Syrians and Turkish citizens benefitted from the courses on welding, Turkish language training, CNC (Computer Numerical Control) programming, plastic pipe installation, hairdressing and skin care, patient admission services, woodwork, and CISCO Network Systems with certificates approved by the Ministry of National Education (MoNE). The ILO also conducts its activities by aiming to increase the knowledge and capacity of national constituents, and improving social dialogue through tripartite consultations between government, employers’ and workers’ organizations. This is to support an employment-rich response and protect vulnerable Syrian refugee population categories, such as children and women. To that end, field studies were carried out jointly with its stakeholders in order to contribute to the knowledge base for further activities including the field research on employers’ outlook for the employment of Syrians, the situation analysis for Syrian children working on the streets, the need assessment for building institutional capacity development at the central and local level to identify evolving needs, and improve the service quality of institutions and organizations providing services for the employment of Syrians. Furthermore, informative seminars for Syrian workers and local employers were organized in the provinces of Gaziantep and Şanlıurfa in collaboration with the Ministry of Labor and Social Security (MoLSS) in order to raise awareness among Syrians and host communities on work permit legislation. The other crucial point that we need to emphasize is the involvement of the private sector for job creation and decent working conditions for Syrian refugees. Investment and economic growth which will help create decent jobs for both Syrians and locals should play a key role in the response to the Syrian refugee crisis in Turkey. Therefore, increasing the role of the private sector in supporting the access of Syrian refugees to the labor market and decent jobs will be one of the most important parts of the ILO’s agenda for further action. We are already aware that many Syrian refugees are working informally, which consequently, can have knock-on effects by depressing the wages and working conditions for all workers and affect economic growth. Although there are serious difficulties and challenges in the employment of Syrians, we need to discuss the building of formal access for Syrians with proper consideration of the needs of the local populations. It needs to be carefully designed by involving people who are active in the labor markets – labor ministries, public employment services, private sector employers, and trade union representatives. In this regard, training, apprenticeship, and employment opportunities that involve the private sector should be a top priority. As the UN agency specialized in promoting social justice, the ILO plays a crucial role in improving livelihoods opportunities and building pathways of formal access to the labor market for Syrians and locals with its knowledge, expertise, and experience. 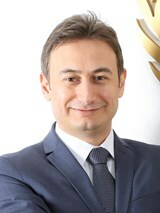 Numan Özcan is the Director of the International Labour Organization (ILO), Office for Turkey.